Transient receptor potential (TRP) channels are a superfamily of cation channels that are currently divided into six families. TRP channels are expressed ubiquitously and are activated by a wide range of stimuli. TRP subunits assemble into homo- or heterotetramers with varied permeation properties. 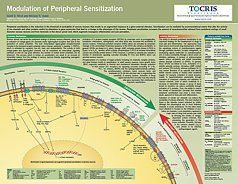 They are often functionally associated with G-protein-coupled receptors, receptor tyrosine kinases and phospholipase C and are regulated by the multipotent phosphatidylinositol pathway. Since TRPs are intimately linked with intracellular Ca2+ signaling, they are implicated in the control of cell cycle progression, cell migration, apoptosis and epithelial uptake of divalent ions. 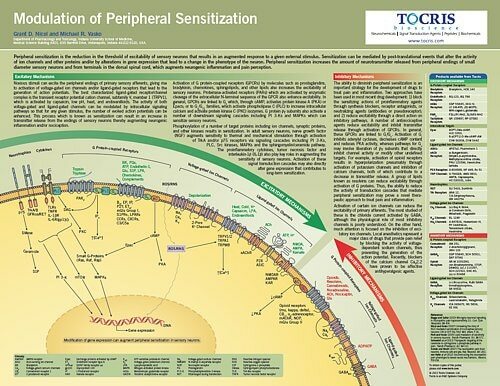 Tocris offers the following scientific literature for Transient Receptor Potential Channels to showcase our products. We invite you to request* or download your copy today!